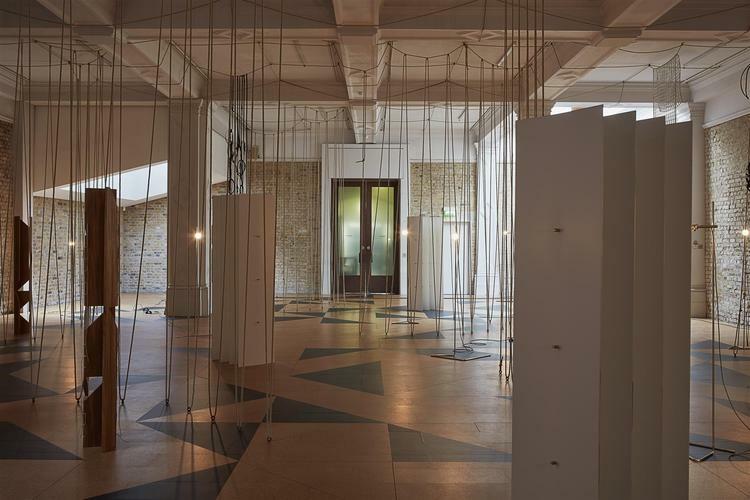 leonor antunes, installation view of the frisson of the togetherness, whitechapel gallery, london, 2017. 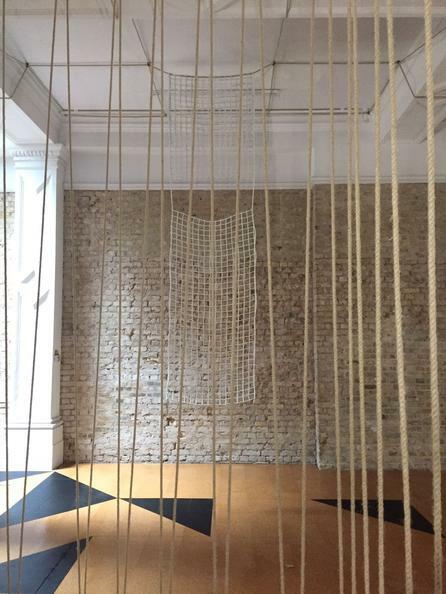 Straight lines and flat planes morph into looping and twisting volumes and sculptural reliefs in the new commission by Leonor Antunes (b. 1972, Portugal). Weavings, geometric patterns, artisanal techniques and utilitarian designs are sources of inspiration. Taking its title from British architect Alison Smithson’s description of how young people bring together elements of style to define their identity and social allegiances, Antunes gathers references to overlooked figures in the history of 20th-century architecture, art and design, particularly women. Her commission has been informed by two artists who lived in London — Mary Martin (1907–69, UK) and Lucia Nogueira (1950–98, Brazil). 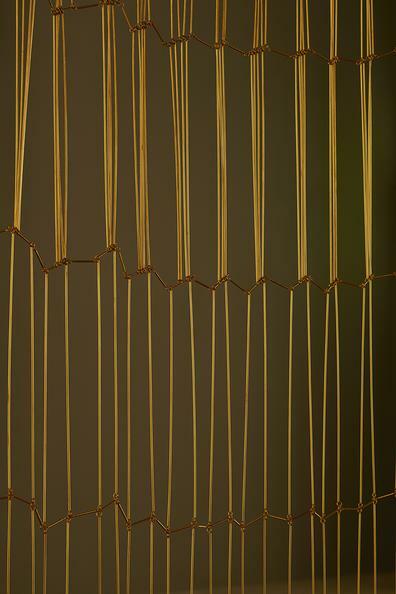 While bothwere known for their sculpture, Martin also created works on paper and weavings and Nogueira made jewellery. Antunes’s commission features hanging and floor-based sculptures made from materials including metal, leather and rope, illuminated by lights designed by the artist. 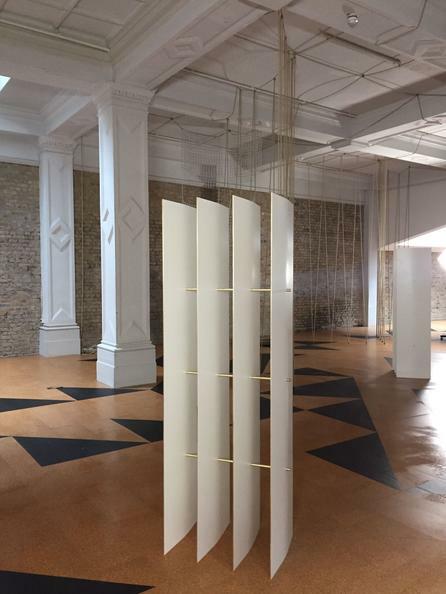 The sculptures serve as screens or dividers, creating layers and shaping the viewer’s journey through the space. The gallery floor is covered in a geometric pattern, based on a drawing by Martin and made of cork and linoleum. Antunes has also selected examples of jewellery by Brazilian artist Nogueira, which are displayed in sculptural glass displaycases by Danish designer Nanna Ditzel (1923–2005).